If you are searching for an Ireland adventure that is something out of the ordinary, The Wild Atlantic Way is a road trip that you must experience. The tour is one built in foodie heaven, the dishes presented along the way speak loudly of Irish tradition and their love of fine things in life. 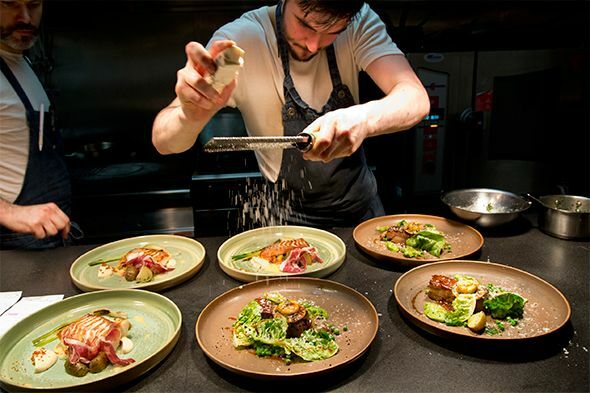 Experience fine dining at its best, seafood shops along the coast, traditional Irish pubs and the many small producers that the country has hidden within its boundaries. There is something for everyone who chooses to grace the Green Isle with their presence. What you find will delight you in every way. Aniar, a Michelin star, fine dining experiencing that is both affordable and quite homey in decor and atmosphere. The superb wine list compliments the farm fresh meals perfectly. Connemara Smokehouse, on the other hand, provides a completely different experience. The situation on Bunowen Pier, the smokehouse is perfectly suited to fish lovers. Take a tour of the smokehouse, one of the oldest in the region, and be a part of a procedure that will take you from the moment the wild salmon are captured and through the filleting process. End the day off as the salmon are cured using beech wood. Aughris is the home of The Beach Bar. Found in the glorious coastal region of County Sligo the scenery is breathtaking. Crystal blue waters and white sands as far as the eye can see. Spend days enjoying the ocean, swimming and surfing or bask the warmth of the Irish summer sun. Nestled on the beach is the 300-year-old tavern built from thatch. The atmosphere, live music and seafood chowder are something for the memory books. Lough Eske is where you will find the beautiful boutique hotels called Harvey’s Point. The menu on offer is a four-course selection that includes seafood and steak as only the Irish can make it.